With legalized drugs, violence and economic hardships plaguing our community many of us are in dire need of a spiritual renewal. 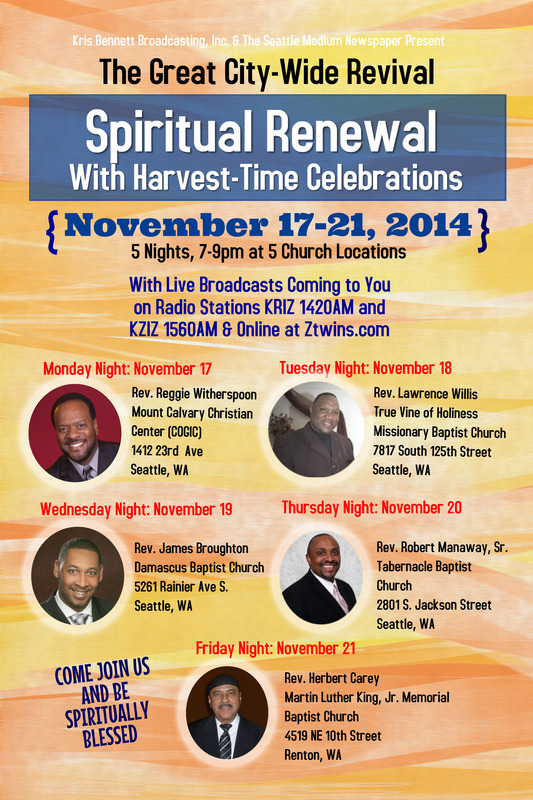 Come take part of the biggest city-wide revival in the Northwest featuring services from 5 churches and live radio broadcasts (KZIZ 1560AM & KRIZ 1420 AM) and live streaming online at ztwins.com and via the TuneIn smartphone app. We don’t want to miss a soul. Come join us and and be spiritually blessed with praise, worship and fellowship.